Hailing from Thunder Bay, Ontario, Kearon Roy Taylor is a printmaker, sculptor, and new media artist. 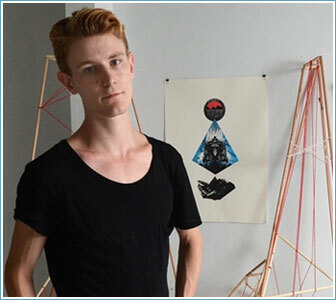 Fascinated by the arts-driven post-industrial renewal of his adopted hometown of Hamilton, he has been immersed in the city’s cultural community since his time at McMaster University. A founding member of the Barton-based pan-media collective/space HAVN, Roy Taylor has sat on the Board of Directors at Hamilton Artists Inc. and the Hamilton Arts Council Visual Arts Committee. He also performs with both the McMaster Cybernetic Orchestra and Extramuros livecoding ensembles, with which he has recently travelled to Karlsruhe, Germany and Belfast, Northern Ireland.